Why Would You Need a Double Stroller? There are a lot of double strollers on the market, but finding the best double strollers may be a challenge. Double strollers are excellent options for parents with more than one child, whether the children are different ages or twins. They allow two children to ride in comfort without the need for multiple strollers. In some cases, additional children can be added with accessories in multiple configurations. These strollers come in different shapes, sizes, and materials to fit your individual needs and desires. They also come in everything from umbrella-type strollers to higher-end jogging strollers. There is a double stroller out there for every family; it’s just a matter of finding the right one. The best double stroller, much like the best bib, is a necessity for parents of multiple toddlers. There are a few different types of double strollers. Which one you choose depends on where and how you plan to use your new stroller. These are strollers meant for general use. They aren’t very rugged but still work on smoother trails or paths. They can also be used to run errands or other day-to-day activities. They aren’t as cumbersome as some other types as well, even though they offer more storage than most types. These types of strollers can handle most types of rugged surfaces, from gravel to cobblestones. They maneuver easily but are bulkier than the regular all-purpose double strollers. They also have better suspensions and better wheels, though these extra features come at a higher cost. Joggers have a three-wheel design essential for parents who like to run. The wheels are larger and air-filled, giving the kids a smooth ride while making it easy for the parent to push and maneuver. They also usually have hand brakes for quick stops. These are a bit pricey, though, and there aren’t as many options on the market. These are lighter than the other types of double strollers, but this also makes them less durable. They fold easily, which makes them great for travel, but won’t last long with everyday use. They also have some weight limitations, and can rarely accommodate a newborn. They are usually cheaper, though, so if you only need a stroller for occasional use, this is a good option. Keep in mind, though, they are only available in side-by-side options. 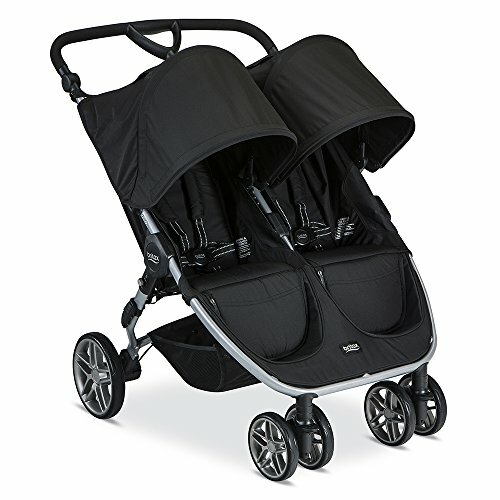 These are great tandem strollers because they allow you to adapt it to your needs. You can use it as a single or a double, and even add a sit-and-stand option if needed. This makes them usable for longer, as they can accommodate larger children that are too big for a stroller seat. The downside is that they are a bit heavy and bulkier than regular strollers. Finding the right double stroller is not necessarily as simple as walking into a store and picking one of the two double strollers available like it used to be. Now there are dozens of double strollers readily available and, in many cases, there is often an option for a double version for many of the popular single strollers. To find the best double stroller to fits your needs, you will have to know who the intended user is. Some strollers are designed for two children where only one is in a car seat, whereas others are capable of fitting a pair of infants in car seats. Some strollers excel on rough terrain and gravel paths, but others should stick to smooth, urban travel. Accessories may not be a primary consideration, but it could tip the scale when deciding between a pair of strollers. After all, if you are looking at a stroller with a cup holder and one that does not, if the price difference is not too large, you are more likely to buy the stroller with the holder. One important feature any stroller needs is a shade to keep the sun off your babies. This not only keeps them cooler, but it also protects them from harmful UV rays. This is especially important for infants who are too little for sunscreen. Another important feature is buckles and straps that are easy to adjust. The faster you can get your little ones in and safely secured, the sooner you can get walking. These straps should also be comfortable for your children, or you may be dealing with some fussiness during your trip. Snack holders are not always available for children on double strollers, but if you can find one that includes them, the better it is for you. These give your child easy access to snacks and drinks without forcing you to stop every few minutes to hand them something. Trays on the handle for mom and dad are also handy, giving you space for a water bottle or coffee, your phone, keys, and even a snack for you. Storage space is a must, usually found under the seats. If you have little ones, you may need diapers, wipes, bottles, and other baby necessities. If there is no storage space, you’ll need to carry a bag with you while you push that bulky double stroller. Other handy accessories are locking wheels, easy fold options, and reclining seat positions for naps or smaller children who don’t have the strength to hold themselves up. Check out the handle height as well to be sure it is comfortable to push for your particular size. It is important to know what the age of the children is if you want to find the best double stroller for your needs. 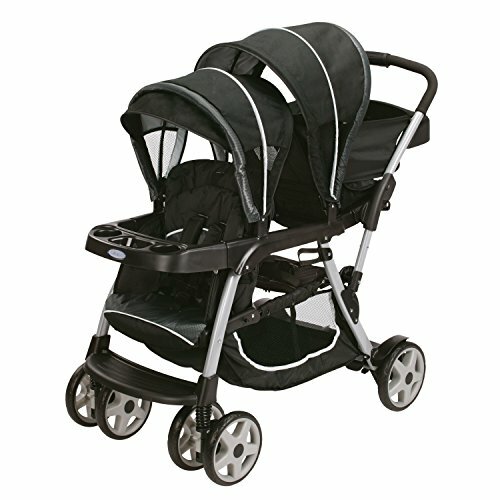 If you have recently had twins, then you should look at strollers that will accommodate a pair of infant child seats. You will also want to make sure that they will hold your make and model of infant car seat. Some strollers come with the correct adapters for their own infant car seat brands, whereas others will sell adapters to make them car seat ready. Deciding whether you want a side-by-side stroller, or a tandem stroller can be a difficult decision. If you have children side-by-side, you may have a much wider stroller. However, they often fold down more compact than a tandem stroller and are much easier to turn. Tandem strollers have the advantage of a narrow profile making them the ideal choice to use in a store, as long as there is not a lot of turning. Often tandem strollers offer a larger number of configurations, so you can customize how your children are sat quickly as needed. Double strollers are not small. There is no way around it. However, some are more suited to being carried in cars than others, and they are almost always more compact than using two strollers. If you have limited space in your vehicle, you will want to measure out exactly how much room your car’s trunk has to ensure that you find a stroller that fits. Nothing is worse than buying a stroller that you think will fit only to find out that it is a mere inch or two too big. Trust me, I know, I’ve done it. It is available in 3 colors: Raven, Raisin Waffle SE, and Blue Opal SE. It is available in 7 colors. The Britax B-Agile Double Stroller is a sleek, easy to use stroller that comes equipped with adapters for the Britax infant car seats. Its compact build and lightweight design ensure that this stroller is one of the best on the market for those with limited travel space. It can easily be used not only when traveling by car, but also by airplane, boat, or even the train. 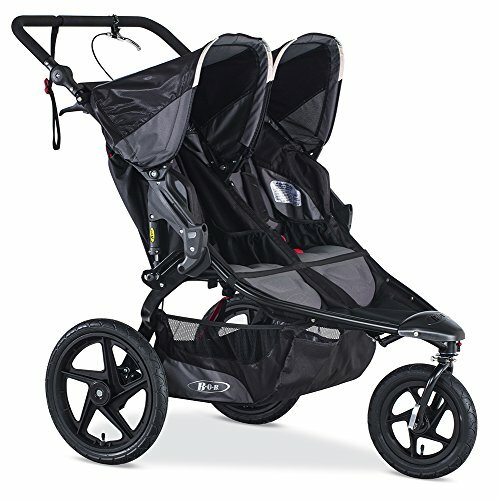 The BOB Revolution Pro is one of the world’s best single jogging strollers. 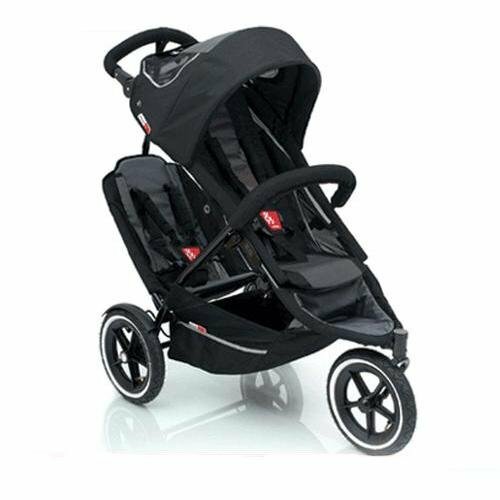 It is not a surprise that one of the world’s best double jogging strollers is the double version of that stroller with everything that makes the single a success from its large tires to its superior suspension system, this stroller adds the ability to add a second child. It is available in 3 colors: Black, Navy, and Orange. 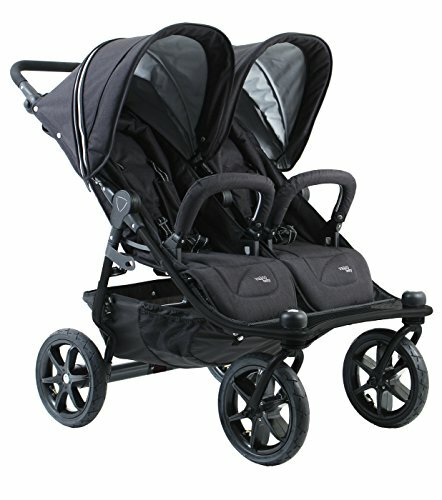 One of today’s trendiest stroller companies, Phil & Teds offers a fashionable and functional double stroller in the Dash. This stroller has all the advantages of a double stroller and can also be used as sought after single stroller. This stroller offers an amazing 23 options when it comes to using it and is suitable for children under five years of age. This is a great convertible stroller that can adapt to your growing family. It is available in 4 colors: Black, Blue Marl, Grey Marl, and Red. In all, there are many different double strollers on the market for parents today, unlike the number that was available even a mere decade ago. This allows for plenty of personal preference and self-expression to be taken into consideration but also can be quite overwhelming when you first start to look. As mentioned above, you should not use a stroller for jogging with newborns as it is almost impossible to keep your child’s head immobilized. For babies who do not have the muscle strength to keep their head still, this can cause your child discomfort. Always read the safety booklet with your stroller to find out when you can use the stroller for jogging with your child and at what age. Regardless of whether you want a jogging stroller or a compact stroller for around town, there is a stroller out there for every person’s needs. Just remember to narrow down what you need and then you will find your perfect stroller for you and your children as they grow through your journeys. Check out our overall best stroller article to get links to all of our stroller buying guides. Thank you for reading this article, and I hope you found it helpful in your search for a new stroller. If we were able to help you make a decision on buying the best double stroller for you, please click through on one of the links and purchase it from Amazon. This site is part of the Amazon Affiliate Program and, at no extra cost to you, we will receive a commission from Amazon if you purchase your stroller through MyTinyTraveller.com.